Availability: Usually ships within 24 hours. As the U.S. population grows more and more diverse, how can professionals who work with young children and families deliver the best services while honoring different customs, beliefs, and values? The answers are in the fourth edition of this bestselling textbook, fully revised to reflect nearly a decade of population changes and best practices in culturally competent service delivery. 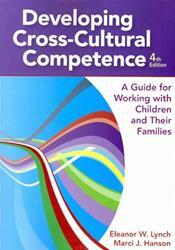 The gold-standard text on cross-cultural competence, this book has been widely adopted by college faculty and trusted as a reference by in-service practitioners for almost 20 years. For this timely NEW edition (see box), the highly regarded authors have carefully updated and expanded every chapter while retaining the basic approach and structure that made the previous editions so popular....Equally valuable as a textbook and a reference for practicing professionals, this comprehensive book will prepare early interventionists and other professionals to work effectively with families whose customs, beliefs, and values may differ from their own.